A postal carrier was shot in the eye with a painball in Greater Grand Crossing Wednesday. CHICAGO (WLS) -- Chicago police said a male mail carrier was shot above the eye with a paintball while working in the city's Greater Grand Crossing neighborhood Wednesday. The shooting happened around 2:30 p.m. near the intersection of East 69th Street and South Woodlawn Avenue. Police said he was shot above his left eye. 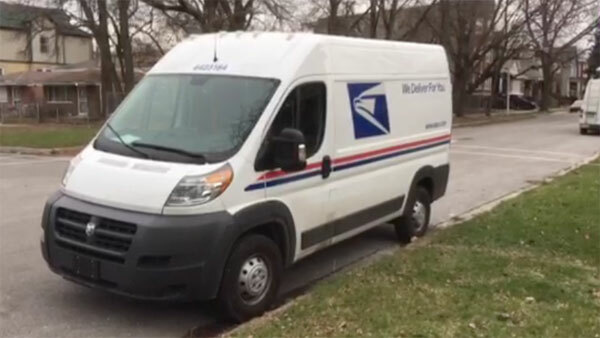 The mail carrier was taken the University of Chicago Hospital in good condition for treatment. Chicago police are investigating.